Mister Miracle and Monstress were two big winners at the Eisners this year. 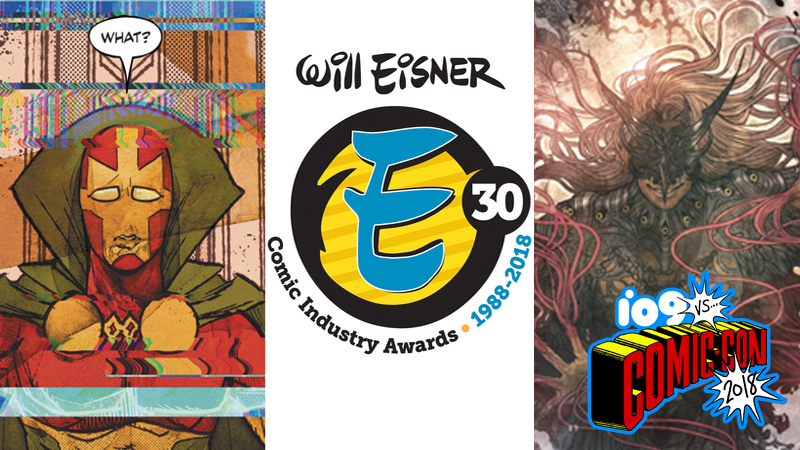 Comic-Con may dazzle with swanky merchandise and big movie and TV trailers, but it’s still home to the biggest awards event in comics: the Eisners, a celebration of the best and brightest creative teams around. This year is no exception, and here’s the complete list of winners of last night’s prestigious awards. Image’s Monstress was a notable highlight of the evening, taking away five awards—including a surprise double-winner for Best Writer, with Marjorie Liu sharing with Batman/Mister Miracle scribe Tom King. In addition, Jackie Ormes, Carol Kalish, Charles Addams, Karen Berger, Dave Gibbons, and Rumiko Takahashi well all added to the Hall of Fame.